Explainer: what are unfunded liabilities? Every Australian is directly or indirectly affected by unfunded liabilities. State and federal unfunded liabilities now total more than $200 billion and this amount is rising rapidly. Is this the state and federal debt we hear so much about on TV? No. But if it is not the debt everyone talks about in the media, then what is it and why should we care about it? Before we get into the detail of how unfunded liabilities are paid for and managed by our governments, we need to first understand what unfunded liabilities are. An unfunded liability is a debt that is not covered by the value of assets, savings or investments that have been allocated to pay the debt. What this means is that Australian state and federal governments have a debt that is now more than $200 billion in size, yet is not directly related to the budget debt that these governments are trying to overcome. To understand where this debt hides, we need to take into account that governments compartmentalise the business of running the state or country into departments. Each department is responsible for managing a portion of the annual budget. Departments manage two types of debts that we’re interested in. The first is a cost that occurs during the year and is paid for out of the annual budget. There is no future impact of this cost. The second cost, on the other hand, does have a future impact. It is either identified or created during the year and will, eventually, become due. An example of this is when a department buys a fleet of cars and pays for the cars out of the annual budget. The department now has a fleet of cars that has been paid for, but what about future running costs? There are two options: either set aside funds now to pay for the future running costs, or pay for the future running costs out of future income. The first option appears to be prudent financial planning. By setting aside funds to pay for the future running costs there is no detrimental effect on future budgets and we can be sure that the funds needed to pay for the running costs will be available. If a government decides to pay using future income, then this cost will be factored into future budgets until such time as the cost ends - essentially, when the fleet of cars is retired and sold off. So how does this relate to the budget deficit we hear about on TV? What governments do not want is for the public to become concerned about future liabilities, so they simply do not mention them when talking about the next budget. They get around these discussions by focusing more on current liabilities (what is due to be paid in the next budget only). This sleight of hand trick causes the unfunded liabilities to become lost in a haze of smoke and mirrors. By now, you might be wondering why you need to be worried about unfunded liabilities. If you aren’t, you should be. 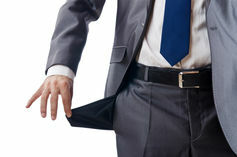 Every year, some portion of the unfunded liabilities become due for payment. If the government cannot pay, then the only option is to borrow to pay. This adds to the overall size of the unfunded liabilities and means the cost of servicing this debt is constantly growing. You might think that if the government returns to a surplus budget, this will reduce the size of the unfunded liabilities. This is possible, but not always the case. A government will often choose to use the surplus to reduce taxes, improve infrastructure, boost important social programs like medicare or give “social benefit” handouts (pork barrelling) if an election is coming. Superannuation and pension benefits are by far the largest contributors to the current unfunded liability debt. In the early 1970s, when Gough Whitlam was Prime Minister, significant changes were made to how superannuation and pensions were funded. Mr Whitlam’s government decided to create public service and military superannuation and pension schemes that were “unfunded”, meaning that funds were not set aside as the debt occurred. The debt was to be recorded and paid out when the public service or military employee retired. Successive governments have maintained the system created by Mr Whitlam, albeit with some minor tweaking. What this means is that as the number of current and retired public servants and military personnel grew, the size of the debt increases. If you add to this the years that the public service and military superannuation and pension schemes were not fully funded due to a deficit budget (and were therefore funded by borrowings), it becomes obvious why the size of the unfunded liabilities now exceeds $200 billion. The Future Fund was created by the government led by John Howard in 2006 to “assist future Australian governments [to] meet the cost of public sector superannuation liabilities by delivering investment returns on contributions to the Fund”. As at 30 June 2012, the Future Fund reported $77 billion in assets. This means that there is a shortfall of more than $130 billion to cover the Australian state and federal unfunded liabilities. The goal of the Future Fund is to grow large enough to assist the government in reducing the future detrimental effect of unfunded liabilities. The idea is to grow the Future Fund until it is larger than the unfunded liabilities. Then, theoretically, the Future Fund will be able to pay superannuation and pension benefits as they fall due. To prevent future governments from accessing the Future Fund too early, it was stipulated that “withdrawals from the Future Fund to pay superannuation benefits may only occur once the superannuation liability is fully offset or from 1 July 2020, whichever is the earlier”. The problem is that until the Future Fund grows to be larger than the unfunded liabilities debt, there is the cost of servicing the debt itself, inflation and debt increase due to increases in the size of the current and retired public service and military. Currently, Australian unfunded liabilities are growing at a rate of about $4-5 billion a year. What is truly concerning is that this growth appears to be outstripping the Future Fund by about $1-2 billion. We’re not a highly productive economy, our net foreign liabilities as a percentage of GDP are very high in the world, they’re not low and we have this persistent current account deficit. In short, all the entitlements we want to have are not ours; they’re being funded at the pleasure of some people who save and live offshore. And there comes a time if you work that way that these people say, “No, I don’t want to finance that anymore,” and that’s what’s happened to Greece and Spain and Italy. One of the hidden costs associated with unfunded liabilities is the cost of indexing the public service and military superannuation and pension benefits. The public service and military superannuation and pensions are currently indexed using the Consumer Price Index (CPI). Other government pensions that were setup in the ‘80s and '90s such as Aged, Welfare and Service pensions are indexed using three measures, as a study at the time found the CPI did not adequately reflect the true cost of living increases. More recently, the federal government carried out a review of public service and military superannuation and pension benefits in 2009. 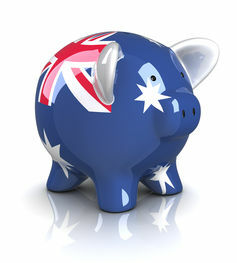 The review found that “if a robust index which reflects the price inflation experience of superannuants better than the CPI becomes available in the future, the Australian government should consider its use for indexing Australian government civilian and military superannuation pensions”. What this means is that the review outcome can be seen from two different points of view. One one hand, the review found that review found that the CPI is the most suitable index available, and should should continue to be used as the indexation rate. On the other hand the review also found that if an even more suitable index could be developed, then the government would be wise to change to the new index. This reads like the review outcome was a bet both ways. It’s also intriguing that is there is no mention of the government looking for a new index since the review ended. Critics of the review highlight two outcomes. The first outcome is that by not utilising an index that gives an indexation rate higher than the CPI (as is case with the Aged, Welfare and Service pensions), the size of the unfunded liabilities is not affected by any change to a higher indexing rate. This is an especially important outcome for a federal government desperate to achieve a budget surplus. The second outcome is that people who receive public service or military superannuation and pension benefits continue to argue that the review is to their detriment, and the effective size of their superannuation and pension benefits diminishes in real terms every year. Superannuation and pension benefits are a critical social benefit that workers contribute to throughout their working lives. Private enterprises are required to pay superannuation entitlements as they occur. This prevents companies from building up a liability that cannot be paid out in the event the company fails. Superannuation and pension benefits are one of the largest costs to government and business annually. You would think that the government would do everything possible to reduce this cost to the public purse, yet Australia now has more than $200 billion in unfunded liabilities. And this amount is growing rapidly. The annual cost of servicing this debt through foreign loans is now in the billions. An unfunded liability is equivalent to a credit card in many ways and every Australian gets warned of the danger of over using a credit card. We’re all told that Australia is one of the richest countries on the planet. The lucky country. Yet I often wonder why our government has such a deep unfunded liabilities debt, and constantly do their best to hide this from the public eye. What is worse is that because of the size of the Australian unfunded liabilities debt, governments will do everything possible to prevent any change to the indexing rate for public service and military superannuation and pension benefits. The lucky country? I think not. Mark Gregory has superannuation with the Military Superannuation and Benefits Scheme.